Dental Clinics, Dental department or other specialty department in a general hospital can use this software. 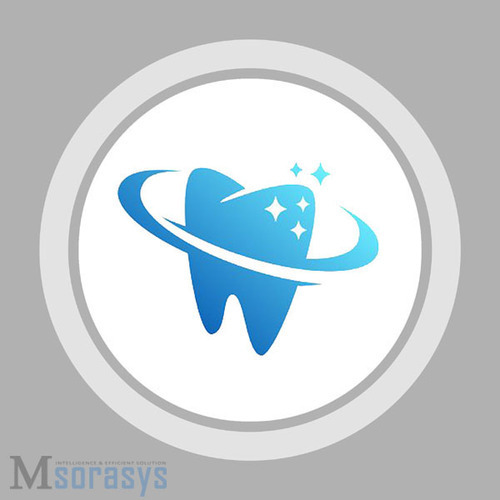 Though this software was designed primarily with the inputs from dental Clinics, it could be adoptable in other specialty hospitals also, with some little changes in the medical terms, database etc. Msorasys is a Software Company that Provider Development Solution in artificial intelligence that deals with the study of creating intelligent and efficient robots. We design windows based job scheduler robotics tools that done your work automatically. We bring a wealth of domain and technology expertise from different verticals i.e. Health: Hospital clinics management system, Education: school, college, institute management system, library management system, web site and web site and web portal development, Retail, Inventory, Tour & Travels management & Real Estate to focus on your business problems . We have a team that is as diversified in skill sets as it is experienced. We take tremendous pride in our breadth of perspectives, our willingness to innovate, and our ability to collaborate effectively with our customers. Artificial intelligence (AI) is arguably the most exciting field in robotics. It's certainly the most controversial: Everybody agrees that a robot can work in an assembly line, but there's no consensus on whether a robot can ever be intelligent. Like the term "robot" itself, artificial intelligence is hard to define. Ultimate AI would be a recreation of the human thought process -- a man-made machine with our intellectual abilities. This would include the ability to learn just about anything, the ability to reason, the ability to use language and the ability to formulate original ideas. Roboticists are nowhere near achieving this level of artificial intelligence, but they have made a lot of progress with more limited AI. Today's AI machines can replicate some specific elements of intellectual ability.